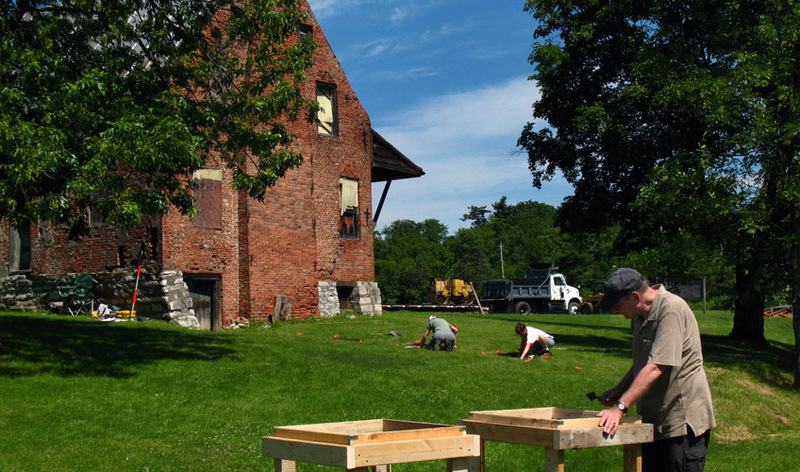 On Monday NYS Museum staff, along with volunteers, began the work of carefully removing soil in pre-determined rectangular sections. The excavation rectangles were positioned in an area where VHHHF plans to install a drainage system that will collect and direct moisture away from the basement. After removing the grass sod layer, the soil was carefully scraped away a small amount at a time. Then the collected soil was manually sifted on screen tables to collect objects. On the first day fragments of brick and coal were found in the soil. Staff also recorded observations such as soil conditions and coloration. 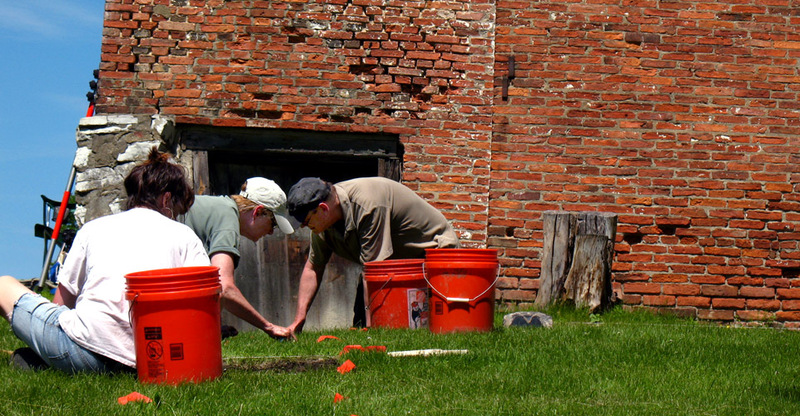 If the process reveals the presence of important artifacts, additional excavation rectangles will be prepared in the same area. The work is to continue for the next several weeks.